Italy’s fascinating dichotomy of tradition and modernity come together in the music of Canzoniere Grecanico Salentino. Hailing from the Puglia region, the seven piece band and dancer are the leading exponents in a new wave of young performers re-inventing Southern Italy’s Pizzica Taranta musical and dance traditions for today’s global audience. Critically acclaimed with 16 albums and countless live performances throughout Europe and the Middle East, Canzoniere Grecanico Salentino was originally founded in 1975 by Daniele Durante. Leadership of the ensemble was handed down to Durante’s son Mauro, already a noted percussionist and violinist, in 2007. 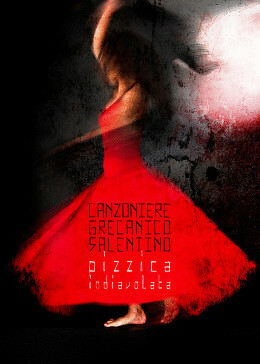 In 2010 Canzoniere Grecanico Salentino was awarded Best Italian World Music Group at Italy’s MEI confab. Salento, on the boot heel of southern Italy in Puglia, is the home of pizzica, a Southern Italian folk dance that is part of the larger family of tarantellas: hurtling six-beat rhythms and songs that were used in ancient, ecstatic healing rituals to cure the bite of the tarantula. “Times have changed, but we believe that this power can still be alive,” said Mauro Durante, the violinist and drummer who has led Canzoniere Grecanico Salentino since 2007. The group was conceived in 1975 by the writer and folklorist Rina Durante, a cousin, and initially led by Mr. Durante’s parents, Daniele Durante and Rossella Pinto. Now it’s your chance to hear the traditional “tarantella” performed by the singer, percussionist, dancer and researcher Alessandra Belloni, who has also combined the music with other styles. Canzoniere Grecanico Salentino takes its own liberties with the tradition, incorporating a few modern instruments — including, for some songs, electric bass — and arranging its songs with a variety of textures and details that suit the stage and recording studio. On albums, it has collaborated with musicians from Africa and Europe. DATE: April 11, 7pm. LOCATION: Winthrop Red Barn.